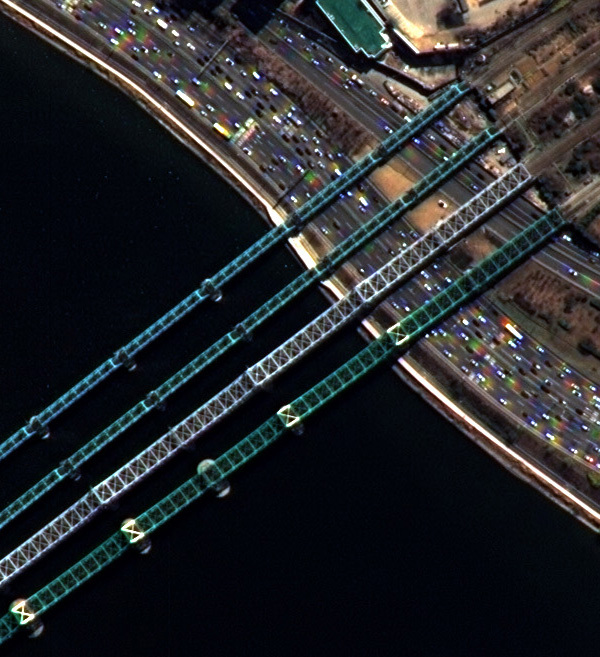 This KOMPSAT-3 satellite image of Hangang Bridge in Seoul shows how our customers use high resolution satellite imagery for engineering and construction applications. Choose the preview image to view the full resolution version. For a better viewing experience, consider downloading these free geospatial data and image viewers. Discover more captivating satellite imagery in our other image galleries. Choose one to explore.